Everything is a choice. I don’t know why, but I have great difficulty remembering that. Seems I believe that my choices are limited, that I have a very strict outline of how I am to live my life. By limiting myself, by having these constrictive beliefs, I make my life very small and sometimes very painful and sad. Yesterday I chose differently. 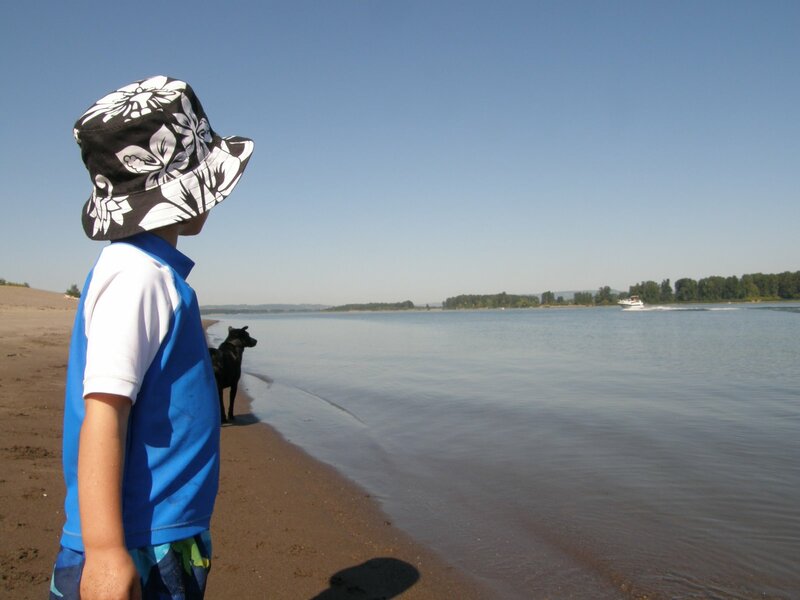 My friends ask me to spend the day with them on Sauvie Island. I said no immediately, I had a list of to do’s and I was behind. My son heard me, and said, “you need to go.” Perhaps, it is permission I am always waiting for. Only I need to give it to myself, and not wait for someone else to say, “it’s okay, you can enjoy life too.” Yesterday, I needed my son to say, “yes” for me. I give myself permission to say “yes” or “no” from now on. It is my choice…I need to dream big, and live happier. I have been hearing the creative call loudly this week. Seems if you listen to that small, still voice, it becomes stronger and clearer. It is hard to ignore, which is at once a blessing and somewhat painful reminder of what I have been ignoring for so long. No regrets though, only experience and skills to put to practical use. I must choose to see the gifts. Tomorrow I must speak in front of the church briefly to initiate the stewardship conversation. I have been sorting through various thoughts on the matter; how to encourage others to share their gifts. I will open myself to Spirit…it is the only Way. Understanding is like water flowing in a stream… In Buddhism knowledge is regarded as an obstacle for understanding. If we take something to be the truth, we may cling to it so much that even if the truth comes and knocks at our door, we won’t want to let it in….We must learn to transcend our own views. I’m working on a scarf right now, a gift for my niece Rachel. My sister just dropped her off at Evergreen for her freshman year of college. As I have worked on this piece I have tried to only knit when my heart was happy and my thoughts pure. There is a story I once heard that told of spinners praying and sending good intentions into the wool as they twisted it into yarn. When the yarn was then knitted, prayers again were said, and loving thoughts carried from mind to heart to hands to each stitch. So powerful was this that wearer of the newly made garment felt loved and protected. I think about this often as I knit and spin, so much so that I will do neither if my heart is sad or I am harboring any anger or ill thoughts. It is an exciting and scary time for Rachel, leaving the familiar and beginning a new chapter of her life. I remember that time in my own life…discovering who I was, what my dreams were. That girl, that me, is still here. I am still discovering who I am, like that stream, I am ever changing. What holds true for me is my desire to love and be loved. May my simple gift to Rachel let her know that she is loved.